Most of us yearn for a life free of fear, pain, insecurity, and doubt. We long for peace, for the ability to love and be loved openly and freely, and the confidence and clarity to meet the various challenges we face in our daily lives. Timeless and imperishable, essence love is often layered over by patterns of behavior and belief that urge us to seek happiness in conditions or situations that never quite live up to their promise. 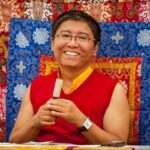 Drawing on rarely discussed teachings of Tibetan Buddhism, Rinpoche describes how such patterns evolve and offers a series of meditation exercises to help us unravel them and, in the process, reawaken an energy and exuberance that can not only bring lasting fulfillment to our lives but ultimately serves to enliven and inspire the entire world, as well. 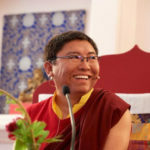 With great humor, intelligence, and candor, Tsoknyi Rinpoche also details his own struggles to reconnect with essence love. Identified at an early age as the incarnation of a renowned Tibetan master and subjected to a rigorous monastic training, he ultimately renounced his vows, married, and is now the father of two daughters. 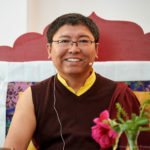 As he recounts his own efforts to strike a balance between the promptings of his heart and an obligation to preserve and protect the teachings of Tibetan Buddhism, Rinpoche provides a bridge between ancient wisdom and modern life, and encourages each of us to rediscover the openness, fearlessness, and love that is the essence of our own life. Born in 1966 in Nubri, Nepal, TSOKNYI RINPOCHE is one of the most renowned teachers of Tibetan Buddhism trained outside of Tibet. 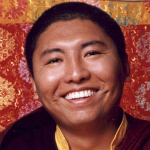 Deeply versed in both the practical and philosophical disciplines of Tibetan Buddhism, he is beloved by students around the world for his accessible style, his generous and self-deprecating humor, and his deeply personal, compassionate insight into human nature. The married father of two daughters, Rinpoche nevertheless manages to balance family life with a demanding schedule of teaching around the world, and overseeing two nunneries in Nepal, one of the largest nunneries in Tibet, and more than 50 practice centers and hermitages in the eastern region of Tibet. ERIC SWANSON is coauthor, with Yongey Mingyur Rinpoche, of the New York Times bestseller, The Joy of Living and the follow-up volume, Joyful Wisdom. A graduate of Yale University and the Juilliard School, he is the author of several works of fiction and nonfiction. After converting to Buddhism in 1995, he co-wrote Karmapa, The Sacred Prophecy, a history of the Karma Kagyu lineage, and authored What the Lotus Said, a memoir of his journey to eastern Tibet.